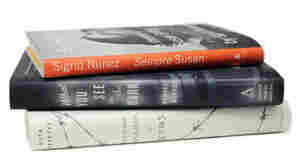 Sempre Susan NPR coverage of Sempre Susan: A Memoir of Susan Sontag by Sigrid Nunez. News, author interviews, critics' picks and more. 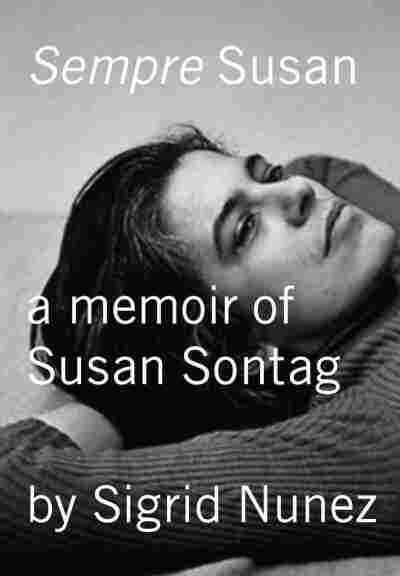 Written by a novelist who lived with Susan Sontag's son, this memoir of the writer responsible for the avant-garde Against Interpretation depicts her as a magnetic, outsized personality and a polarizing presence who made being an intellectual a glamorous occupation. My own fastidious punctuality could get on her nerves. Out to lunch with her one day, realizing I was going to be late getting back to work, I jumped up from the table, and she scoffed, "Sit down! You don't have to be there on the dot. Don't be so servile." Servile was one of her favorite words. Exceptionalism. Was it really a good idea for the three of us—Susan, her son, myself—to share the same household? Shouldn't David and I get a place of our own? She said she saw no reason why we couldn't all go on living together, even if David and I were to have a child. She'd gladly support us all if she had to, she said. And when I expressed doubts: "Don't be so conventional. Who says we have to live like everyone else?" (Once, on St. Mark's Place, she pointed out two eccentric-looking women, one middle-aged, the other elderly, both dressed like gypsies and with long, flowing gray hair. "Old bohemians," she said. And she added, jokingly, "Us in thirty years." She was forty-three when we met, but she seemed very old to me. This was partly because I was twenty-five, and at that age anyone over forty seemed old to me. But it was also because she was recuperating from a radical mastectomy. (Break a rule: when hospital staff scolded her for refusing to do the recommended rehabilitation exercises, a sympathetic nurse whispered in her ear, "Happy rockefeller wouldn't do them, either.") Her skin was sallow, and her hair—it would always bewilder me that so many people thought she bleached the white streak in her hair when it should have been obvious the streak was the only part that was its true color. (A hairdresser suggested that leaving one section undyed would look less artificial.) Chemotherapy had thinned much but not all of her extraordinarily thick, black hair, but the hair that grew back was mostly white or gray. So, an odd thing: when we first met, she looked older than she would as I got to know her. As her health returned, she looked younger and younger, and when she decided to color her hair she looked younger still. It was spring, 1976, almost a year after I'd finished my MFA at Columbia, and I was living on West 106th Street. Susan, who lived at the corner of 106th Street and riverside Drive, had a pile of unanswered correspondence she had let accumulate during her illness and which she now wanted to get through. She asked some friends, the editors of The New York Review of Books, to recommend someone who might help her. I had worked as an editorial assistant at the Review between college and grad school. The editors knew that I could type and that I lived nearby, so they suggested that she call me. It was exactly the kind of odd job I was looking for then: the kind unlikely to interfere with my writing.